This paper can be cited as: Xian Y., Wang K., Wei Y.-M., Huang Z. 2018. Would China’s power industry benefit from nationwide carbon emission permit trading? An optimization model-based ex post analysis on abatement cost savings. CEEP-BIT Working Paper. This work was supported by the National Natural Science Foundation of China (Grant Nos. 71871022, 71471018, 71521002, 71828401), the Social Science Foundation of Beijing (Grant No. 16JDGLB013), the Joint Development Program of Beijing Municipal Commission of Education, the Fok Ying Tung Education Foundation (Grant No. 161076), the National Key R&D Program (Grant No. 2016YFA0602603), the China Scholarships Council (Grant No. 201706030023), and the International Clean Energy Talent Program of Chinese Scholarship Council. The views expressed herein are those of the authors and do not necessarily reflect the views of the Center for Energy and Environmental Policy Research. The Center for Energy and Environmental Policy Research, Beijing Institute of Technology (CEEP-BIT), was established in 2009. 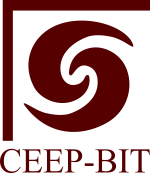 CEEP-BIT conducts researches on energy economics, climate policy and environmental management to provide scientific basis for public and private decisions in strategy planning and management. CEEP-BIT serves as the platform for the international exchange in the area of energy and environmental policy. Currently, CEEP-BIT Ranks 47, top 3% institutions in the field of Energy Economics at IDEAS（http://ideas.repec.org/top/top.ene.htm), and Ranks 52, top 3% institutions in the field of Environmental Economics at IDEAS (http://ideas.repec.org/ top/top.env.html).